Graveside services for Mr. James Butts of Americus, Georgia will be held on Wednesday, November 29, 2017 at 2:30 at the Eastview Cemetery. 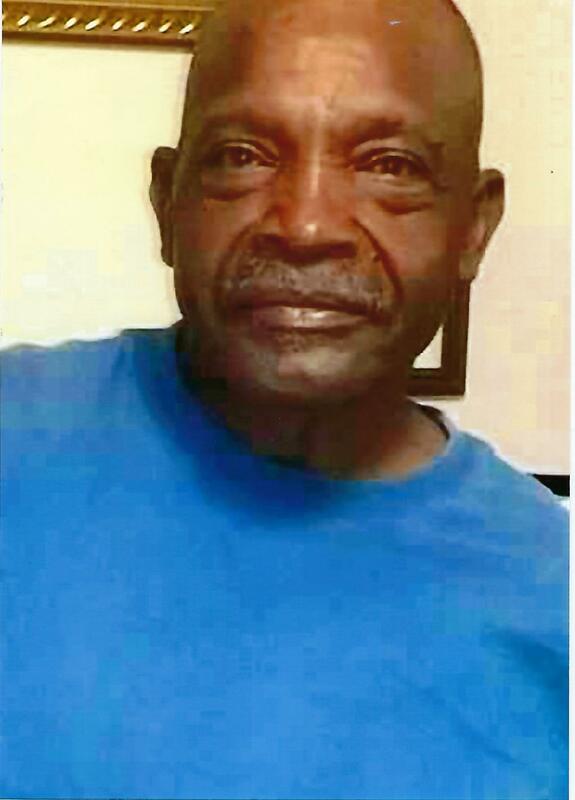 Mr. James Edward Butts affectionately known as “Hoof” was born on March 30, 1951 to the late Edgar Butts Sr. and the late Mrs. Eunice Lee Floyd Butts. James was educated in Public School system of Sumter County. He joined the Perry Grove Baptist Church at an early age working on the Usher Board. He loved to play spade. He worked at Sheffield Hardware, Davidson Rubber Co., and Austin Urethane and Glover. He enjoyed playing with his nieces and nephews giving them neck and back rides. James died peacefully on Friday, November 24, 2017 at Emory St Joseph Hospital in Atlanta, GA. He was preceded in death by three brothers: Edgars Jr., Ulysses and Jennilee Butts and one sister, Bernice Butts. James leaves to cherish his memories, one daughter Daphney Hollis; four sisters: Mildred Sneed, Smithville GA, Janice R. Butts, Bobbie Wise and Thelma & Freddie Evans all of Americus, GA; two brothers: Eddie Butts of Americus, GA and Wilbert Butts of Atlanta, GA; two devoted nieces: Gail Peeples and Tonya Walker; one sister-in-law, Mrs. Odena Jackson of West, Palm Beach FL; three grandsons, a host of nieces, nephews and friends including Sarah Smith, Miller & Jean Rush, Eula and James Merritt and Willie Walker. 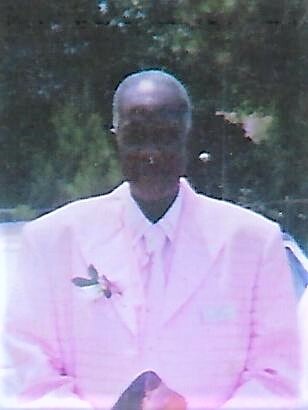 Funeral Services for Mr. Johnny Lee Waters of Americus, Georgia will be held on Saturday, December 2, 2017 at 11:00 a. m. at Mountain Creek A. M. E. Church with Elder Larry Franklin, Sr officiating. Burial will follow at the church cemetery. Johnny was born on July 22, 1956 in Sumter County, Georgia to Mrs. Mattie Waters and the late Mr. Willie C. Waters, Sr. On Thursday November 23, 2017 Johnny departed this earthly life at Phoebe Sumter Medical Center. Cherished memories are left in the hearts of his loving and devoted wife of 19 years, Mattie Sue Banks Waters of Americus GA; his daughter, Melissa Rouland of Atlanta, GA; two step children: Matthew Banks and Bernita Banks both of Americus, GA; his mother, Mattie Waters of Americus, Georgia; fourteen brothers and sisters and their spouses: Willie C. Waters Jr., of Americus, Georgia, Alfred J. Waters of Atlanta, GA, Deborah G. Colbert of Americus Georgia, Royzell Waters of Live Oak FL, Patricia A. (Jimmy) Reynolds, Glen R. Waters, Dwayne I. Waters, Lorenzo L. (Sekeithia) Waters, Rachel L. Waters, Shonna V. Waters, Micquelyn N. Waters, Marc A. (Regina) Waters, Matthew D. Waters all of Americus, Georgia and Raven P. Waters (Kevin) Binn of Columbus, GA; uncles and aunts: Charles (Nina) Russell of Newark, NJ, S. T. (Lola) Sampson of Americus, GA, Eddie (Virginia) Sampson, of Los Angles, California, Lois T. Taylor and Mary Russell both of Americus, Georgia; mother and father-in-law: George and Mattie Banks of Americus, GA; sisters-in-law: Donnie Mae (Eddie) Williams, Georgia Tyner, Betty Ann (James) Garrett, Mary Ann (Robert) Thomas, Nancy Bruce all of Americus, Georgia and Bobbie Jean (Jerome) Waymon of Aliquippa, PA; one brother-in-law Cavin Snipes of Americus, Georgia. A host of nieces, nephews and a devoted friend, Otis Williams also survive. Graveside services for Mr. Norman Vincent Tuff, Sr. were held on Saturday, December 2, 2017 at 2:30 P.M. at Champ Waters Cemetery in Montezuma, Georgia with Minister James Harrison and Pastor Jerry Sanders officiating. 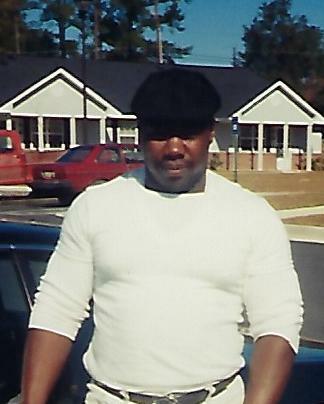 Mr. Norman Vincent Tuff, Sr. was born to David Tuff, Jr. and Mildred Harrison Tuff on January 21, 1966 in Montezuma, Georgia. Norman acquired his education in the public schools of Macon County. He departed this life on November 20, 2017 in Kyle, Texas. He was preceded in death by his parents and brother, John A. Tuff. Cherished memories are left with his wife, Lisa C. Tuff; children: Myeshia Tuff of Atlanta, Georgia, Shontay and Norman Tuff, Jr. of Austin Texas; grandchildren: Dontrey and Mari Tuff of Austin, Texas; stepdaughters: Kiswanda Williams and Diandria Sanders of Montezuma, Georgia and Tiara Sanders of Atlanta, Georgia; step grandchildren: Sequoya, Brandon and Kemya Williams and A’lasia Sanders of Montezuma, Georgia and D’Royveon Clark of Atlanta, Georgia; sisters and brothers: Rose Marie (Marvin) Brown, Wayne Tuff, Keith Tuff and Malcolm (Barbara Renee) Harris of Montezuma, Georgia, David Tuff, Delois (Glenn) Tuff-Bivens and Shirley (Willie) Tuff-Wilson of Miami, Florida and Mamie Ann (Amos) Keith of Manor, Texas; aunts and uncles: James Thomas and Jessie Bell Spivey of Byromville, Georgia, Ulysses and Zettie Mae Hankerson, Douglass Harrison, Mary Liza Harrison and Bobby Harrison of Montezuma, Georgia, Carrie Mae Vines of Newark, New Jersey, and Charles and Geraldine Harrison of Tampa, Florida; father-in-law, Thomas (Liza) Sanders of Montezuma, Georgia; brothers-in-law and sisters-in-law: Ronnie Smith, Antoine Sanders, Thomas (Dorothy) Oliver, Angela (Willie Joe) Mathis, and Tonya Sanders of Montezuma, Georgia and Pastor Jerry (Brittany) Sanders of Americus, Georgia; a host of nieces, nephews, cousins, other loving relatives and friends. Mr. Thomas L. Smith Jr.
Mr. Thomas L. Smith, Jr. age 64 of Andersonville, Georgia died on Monday, November 20, 2017 at his residence. Arrangements are incomplete and will be announced later by West's Mortuary. 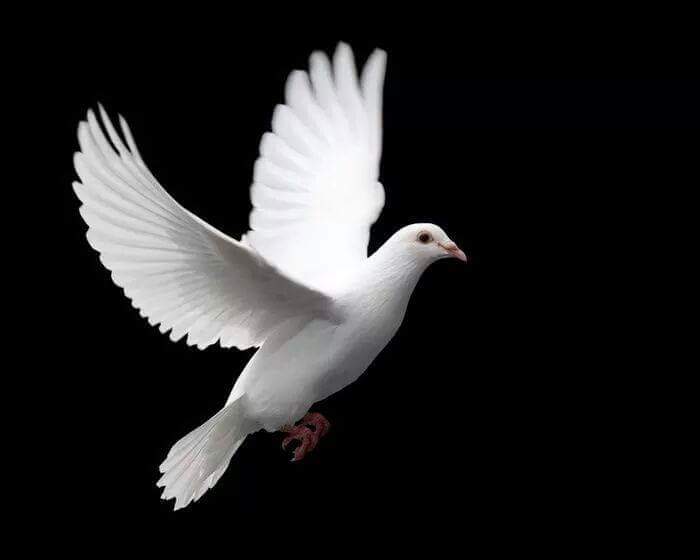 Funeral services for Mrs. Gladys T. Clark of Southerfield Rd. Americus, Georgia will be held on Wednesday, November 22, 2017 at 1:00 P.M. at Bethesda Baptist Church with Rev. Hosie Waters officiating. Burial will follow at Staley Memorial Gardens. 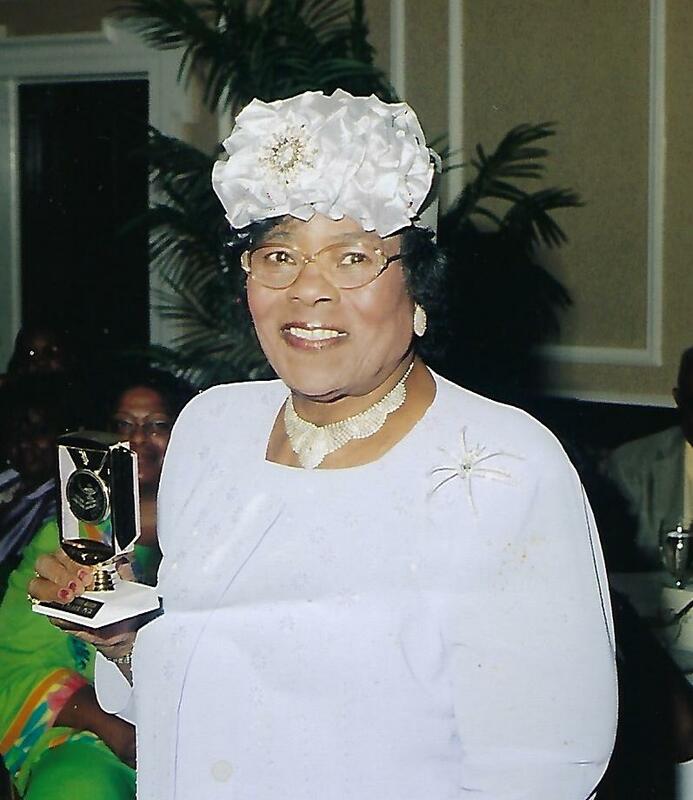 Mrs. Gladys L. Bryson Clark was the youngest of four children born to Major and Mattie Bryson on July 3, 1921 in Americus, GA. She was educated in the Americus public school system and graduated from A. S. Staley High School. She continued her education by attending Albany State College where she was a basketball player. After graduating from Albany State, she began her teaching career in Plains, Georgia. She was also the Girls Basketball Coach. Later, Mrs. Clark started teaching in the Americus School System. Most of us remember her from her time at Eastview on the 5th Grade wing and teaching in the Reading Lab. While employed as a teacher, she also received her Masters from Atlanta University. Mrs. Clark retired after over thirty years as an educator, then taught Adult Education for nine years. Mrs. Clark was active in many community organizations around Americus. The Ministers Wives and Widows Organization was near and dear to her heart. She was happy to give her time and resources to help the community and city. Sister Clark was a lifelong member of Bethesda Baptist Church, where she was very active until her health started to fail. Mrs. Clark passed away peacefully on November 19, 2017 at the Phoebe-Sumter Medical Center in Americus, Georgia. She was preceded in death by her sisters: Annie L. Weaver and Emma Woodbury, two brothers: King Bryson and T. C. Bryson, and her husband the Rev. E. L. Clark. She is survived by a host of nieces, nephews and cousins who loved and appreciated having her in their lives. Funeral services for Mr. Roy Lee Robinson of Americus, Georgia will be held on Wednesday, November 29, 2017 at 11:00 at New Life Holiness Church with Overseer Johnny Lundy officiating. Burial will follow at the Eastview Cemetery. Mr. Roy Lee Robinson was born march 13, 1927 to the late Mr. James Alex Robinson and the late Mrs. Della Robinson. He was a faithful deacon at Healing Temple, and Breath of Life Holiness Church, and later moved his membership to New Life Holiness Church under the leadership of Overseer Johnny Lundy. He was a faithful deacon, usher and President of the Usher Board until his health fail. In his spare time he loved watching is favorite TV show, Walker Texas Ranger and listening to his gospel CD. Deacon Robinson passed away peacefully on Wednesday, November 15, 2017 at the Phoebe-Sumter Medical Center in Americus, Georgia. He was preceded in death by his parents and a daughter. He leave to cherish his memories his wife of 15 years, Mrs. Addie White Robinson of Americus, Georgia; three daughters: Ms. Sally Robinson, Ms. Mary Robinson and Ms. Nancy Robinson; two sons: Mr. Bobby Robinson and Mr. James Robinson all of Florida; two sisters-in-law: Mrs. Lillie Pearl Height and Ms. Annie Ross; fifteen grandchildren and a host of great grandchildren; devoted friends: Bishop Ernest Lundy, Overseer Johnny Lundy and Prophetess Carol Lundy; God Children, Charlie and Gloria Sims and a host of family and friends also survive. Funeral services for Mr. Daniel L. Ford of Montezuma, Georgia will be held on Sunday, November 19, 2017 at 12:00 Noon at Felton Chapel Church, 189 Hawk Circle in Oglethorpe, Georgia. Daniel Louis Ford was born December 9, 1965 to the late Lee Willie Ford and Betty B. Ford Wiggins. Daniel was a servant of the Macon County Community. He attended the public schools of Macon County. He was employed at Mulcoa then at Dixie Queen for years. Then he became self-employed until he became ill. Daniel was known for riding his bike all over the Macon County area and keeping a smile on his face at all times as he served the community. Daniel Louis Ford passed away on Sunday, November 12, 2017. He was preceded in death by his sister LaKeisha M. Ford. Cherished memories are left in the hearts of his companion Ruby McDonald of Montezuma, Georgia; five sisters: Florene F. Mickey (Charles) of Powder Springs, Georgia, Mae R. Ford (Tony) of Ellaville, Georgia, Betty F. Griffin (Morris) of Warner Robins, Georgia, Beverly L. Ford (William) and Latonya Ford of Miami Florida; two brothers: Rondy O. Ford (Mishanda) and Lee W. Ford (Diana) of Miami, Florida; two uncles: Eddie L. Griffin of Atlanta, Georgia and Gary L. Griffin of Augusta, Georgia; six aunts: Annie K. White (Michael) of Ellenwood, Georgia, Christie A. Darity (Walter) of Montezuma, Georgia, Helen Kemp of Butler, Georgia, Sandra Kendrick of Garden Valley, Georgia, Rosetta F. Riley of Oglethorpe, Georgia and Fannie Mae Ford of Minnesota; a special daughter, Tina McDonald; a special friend, Camille Bielby; a special friend who was like a brother, Roy Neal Walker; a host of nieces, nephews, cousins and friends. On December 24, 1945 Monroe Greene and Elizabeth Greene Perry welcomed a beautiful baby girl into this world that they chose to name Annie Ruth Greene. Annie was a mild-mannered soft spoken person that loved people. She did not let her handicap stop her. Annie enjoyed watching her favorite TV shows with her sister Zelda every day. There are so many special and wonderful memories with Annie that will forever be in our hearts. Everyone that loved Annie called her Ruth. 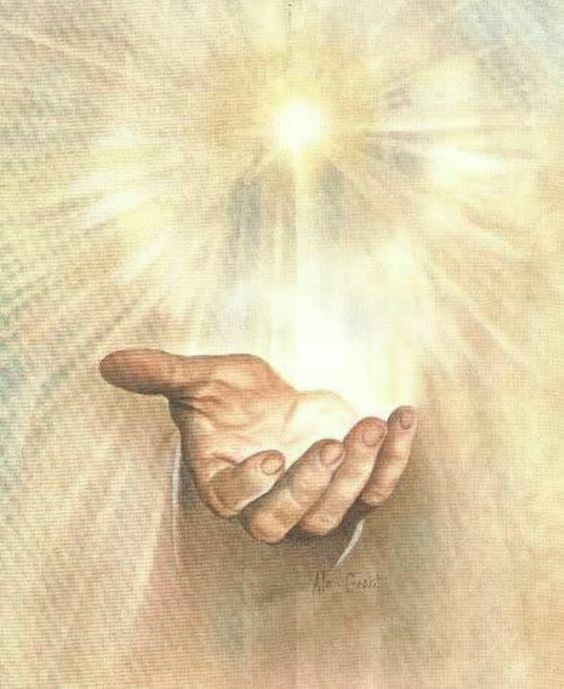 On Sunday, November 12, 2017, Ruth departed this life at the Phoebe Sumter Medical Center in Americus, GA. Ruth is preceded in death by her father, Monroe Greene, and mother Elizabeth Greene Perry. Cherished memories are left in the hearts of her loving daughter, Mrs. Annie Bernice Reese (Johnny) of Americus, GA., her sisters: Ms. Gladys G. Hopkins, of Americus, GA, Ms. Fannie M. Waller, Zelda M. Perry and Doris A. Perry all of Decatur, GA; her brothers: Mr. Willie R. Perry and Joseph Perry both of Decatur, GA; grandchildren: Sharon Searcy, LaShonda Waymon (Chauncy), Warner Robins, GA, Jermonica Durham, Americus, GA and William Durham of Warner Robins, GA; thirteen great grandchildren; devoted nieces: Stephanie H. Robinson of Panama Beach, FL, Leticelia H. Godfrey of Jonesboro, GA, Stacey Perry and Tamika Brown both of Decatur, GA, Tebreshia & Brittany Perry of Decatur, GA and nephews Corey Brown, Stabion Perry of Decatur, GA, and Charles M. Hopkins of Jonesboro, GA; a host of many sorrowing cousins and friends to include her devoted caregiver, Mrs. Stacey M. Gordon and Her Buddy Otis Reese of Pelham, GA.
Mrs. Carolyn Elizabeth Cannon of Americus, Georgia passed away peacefully on Friday, November 10, 2017 at the Phoebe-Putney Memorial Hospital in Albany, Georgia. Funeral services will be held on Saturday, November 18, 2017 at 11:00 A.M. at Friendship Baptist Church with Rev. Dr. H.C. Wilson officiating. Burial will follow at the Eastview Cemetery. Carolyn Elizabeth Cannon was born on January 6, 1950 in Sumter County, Georgia to the late Rev. Ulysses Brown and the late Willie Mae Josey Brown. 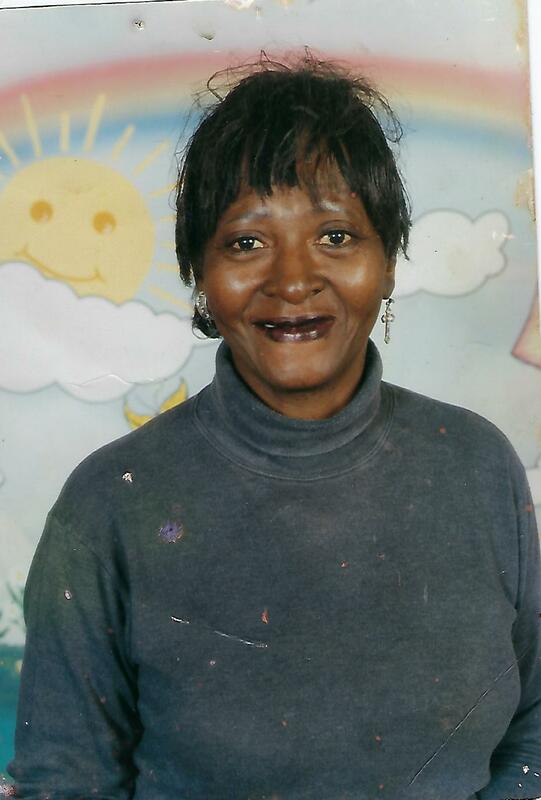 She leaves to mourn her passing her three children: Yana Tameika Cannon and Shaquitta Renae Cannon both of Americus, Georgia and Aquinas Deon Cannon of Atlanta, Georgia; one sister, Martha Lynn Brown-Durham of Americus, Georgia; three grandchildren and a host other relatives and friends also survive. Funeral services for Mrs. Edna Mae Morgan Sims age 90 of Americus, Georgia will be held on Saturday, November 11, 2017 at 11:00 A.M. at the Bethlehem Baptist Church in Plains, Georgia with Elder James Lundy officiating. Burial will follow at the church cemetery. Mrs. Edna Mae Morgan Sims was born in Sumter County, Georgia on April 18, 1927 to the late Willie Frank Morgan and the late Alberta Black Morgan. As a child she attended the Ward Chapter Baptist Church School. She was married to the late Ulysses “Gant” Sims. Edna moved to Miami, FL where she lived and worked for over 60 years. She moved back to Americus 12 years ago to be close to her family, she also joined the Bethlehem Baptist Church. Edna died peacefully on Monday, November 6, 2017 at the Magnolia Manor Nursing Center. She was preceded in death by three children: Mildred Pinder, Eddie Sims and Norman Sims; eight siblings: Zeke Morgan, Ossie Lee Morgan, Marie Style, Mary Ella Brown, Willie Frank Morgan, Alma Louise Cox and Dorothy Solomon.